Barely able to hide is unbridled glee, UKIP leader Nigel Farage hailed Brexit as a victory for “ordinary people, for good people, for decent people.” For a man associated with the hard-Right of politics, it’s strange that such sentiments sit neatly with Marxist working class triumphalism. Brexit, and the Donald Trump phenomenon in the United States, has starkly brought into focus that the old politics of Left and Right has been turned on its head. The question of what is Left and what is Right is more muddied than ever and in this age of inverted politics, anyone serious about engaging in political discourse would do well to abandon this redundant dichotomy. The most intriguing aspect of the Brexit theatre has been that the majority of those who would identify as ‘politically Left’ sided with Remain, thereby supporting a union carefully designed to encourage and protect the mantra of free-market economics. The overwhelming preoccupation of the EU has been to protect the interests of finance. The beneficiaries have been big business, bankers and the educated professional class. This last group consists largely of young people in their 20s and 30s, the majority of which supported remaining in the EU due to mobility of work, travel and lifestyle. Yet Britain’s working class, the people getting their hands dirty in the suburbs beyond London, have been sidelined and disenfranchised, denied the luxuries enjoyed by the new class of tertiary educated, cosmopolitan minded millennials. Without knowing it, the ‘political Left’, its lifeblood traditionally tied to socialist economics and support of workers, has mutated into a form elitism it once rejected so vehemently. The plight of the working class has given way to an agenda championing multiculturalism, pluralism and cosmopolitanism. These causes are ideal for individuals whose immediate circumstances don’t necessitate the need to prioritise financial survival. The economic arguments used by Remain were macroeconomic in nature, focusing on benefits to GDP growth. Yet for the English worker who has experienced wage stagnation over the course of three decades, clearly such arguments did not hold. In the wake of the Brexit vote, supporters of the Leave campaign have been derided as ignorant, racist and bigoted. The language used to dismiss their unequivocal expression of grievance raises the clear and present reality of the 21st Century – the ‘political Left’ have little to offer the regular worker. This explains the rise of radical parties ironically associated with the hard-Right. Farage’s UKIP being a case in point. Yet his party’s agenda rests on the tenets of protectionism and nationalism. Abandoned by the traditional bastion of the working class, the Labour Party, Britain’s workers are increasingly supporting Farage because he is offering (at least at face value) a voice for their grievances. This also explains the rise of Donald Trump. The billionaire maverick has been dismissed as a crackpot, racist, loose cannon and warmonger, but his rhetoric is striking a chord not with the elite, but with the ordinary working class people. The elite, big business, traditional party apparatchiks and educated professionals, tremble at the thought of a Trump presidency. In a strange state of affairs, the people who pride themselves on fighting for social justice are dismissing the millions of Americans turning to Trump. The presumptive Republican nominee is anti-free trade and protectionist, a political archetype who would have found himself neatly cocooned in most leftist parties of the 1970s and 1980s. It is not a question of Left Vs. Right, it is a question of the disenfranchised standing up against the beneficiaries of free market neo-liberal orthodoxy. In a state of significant irony, the ‘Left’ has morphed into one of the advocates of neo-liberalism and capitalism, fighting fierce battles against politicians championing causes for people left behind. What this should teach us is that the old politics is dead. 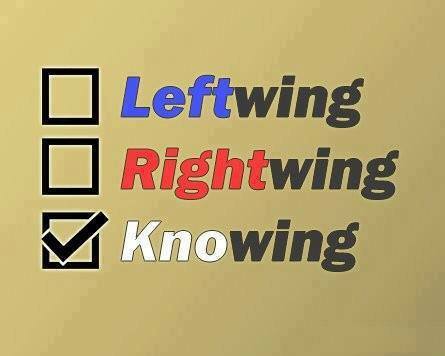 There is no ‘Left Wing’ and ‘Right Wing’ any more. In fact, if one looks at the history of politics beyond the French Revolution closely, it could be argued that there never really was. New battlelines have been drawn. What we are seeing around the world are tensions between nationalists and multiculturalists, free traders and protectionists, working people and educated elitists.